On March 1, 2018, Vladimir Putin declared to the world that Russia has nuclear superiority over the U.S. — and that Washington, D.C. had better "listen now" to Moscow. Previously in Newsmax (June 18, 2018), I described Russia’s TSAR bomb, designed to yield 100-150 megatons and vast amounts of radioactive fallout, like POSEIDON. Moscow never deployed TSAR as an operational weapon because at 60,000 pounds (30 tons) it was too heavy for delivery by bombers trying to penetrate U.S. air defenses or for any missile at the time. TSAR was also militarily impractical for blasting cities and spreading fallout because this could be done more cost-effectively with numerous smaller nuclear weapons. If the same nuclear materials used to build the TSAR were used instead to build many smaller H-bombs, the net destructive capability would be greater. Moreover, smaller nuclear weapons could be delivered by bombers and missiles. Indeed, according to U.S. calculations of "equivalent yield" the TSAR — and POSEIDON — is a bad investment. The "equivalent yield" of a warhead having a yield (Y) less than one megaton is Y to the two-thirds power, whereas a warhead having a yield over one megaton is Y to the one-half power. According to this math, 10 one megaton warheads supposedly could do as much blast damage as the 100-megaton TSAR. Truth in advertising, "equivalent yield" was used by U.S. arms controllers during the Cold War to dismiss Russia’s big advantage in high-yield weapons, and to argue for U.S. weapons of low yield. Despite the best efforts of U.S. arms controllers to "educate" Moscow, Russia always preferred having weapons of higher yield than the United States. So why did Moscow build TSAR, resurrected in POSEIDON? Part of the explanation may be that totalitarian and authoritarian regimes, especially those led by a megalomaniac, have a tendency toward what might be called the "psychopathy of gigantism" in public works and military weapons — even if they are impractical. The "great leader" of enormous ego and messianic aspiration, in every civilization throughout history, wants to build outsize monuments to himself. Objects that will overawe subjects, terrorize and cow enemies, and immortalize the "great leader" in the memory of humankind. The Pyramids of Egypt and monuments of Ramses, the Great Wall of China, and the Palace of Versailles are a few examples of such works. Tyrants and dictators, the man at the top of the pyramid of power, tend to like giant weapons too, even if they are militarily impractical. Perhaps the psychology of one-man rule biases the dictator to identify with his giant weapon, a singularity dominating the battlefield, as the dictator dominates his nation. He wants his monster to live and win, even if his scientists and generals warn him the giant is a waste of resources. 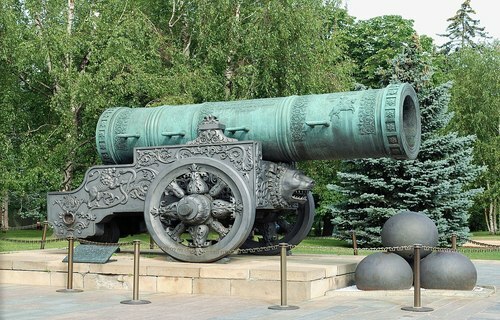 So in 1586 Russia built the Tsar Cannon, weighing 40 tons, with a bore one-yard wide, inscribed for "The grace of God, Tsar and Great Duke Fyodor Ivanovich Autocrat of all Great Russia." The Tsar Cannon, too heavy to move, never saw battle. Mehmed the Conqueror, Sultan of the Ottoman Empire, besieging Constantinople in 1453, had a giant bombard requiring 60 oxen to move, 400 men three hours to load, that could throw a 600 pound stone one mile. Reports conflict over whether the great Dardanelles Gun blew itself up. Hitler commissioned the Great Gustav railway gun, weighing 1,350 tons and able to hurl a shell weighing seven tons 29 miles, which did good service at the siege of Sevastopol, but otherwise was a huge drain on scarce German resources. The Nazi dictator also had plans for the biggest tank ever conceived, the Land Monitor, weighing 1,000 tons, too large and heavy for roads and bridges, that would wade rivers and roll across fields and forests like a mobile steel fortress — a perfect target for Allied airpower. Everyone knows the tragic fates of Hitler’s giant battleship Bismarck and pride of Imperial Japan’s Navy, Yamato, the largest battleship ever built, whose enormous 18-inch guns out-ranged U.S. 16-inch guns by miles. 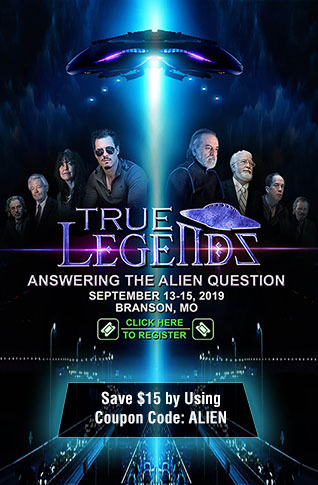 As a child, I could not understand, it seemed impossible and somehow unjust, that giant battleships could be easy prey to tiny aircraft and torpedoes. Military dictatorships are likeminded, it seems, and never grow up. 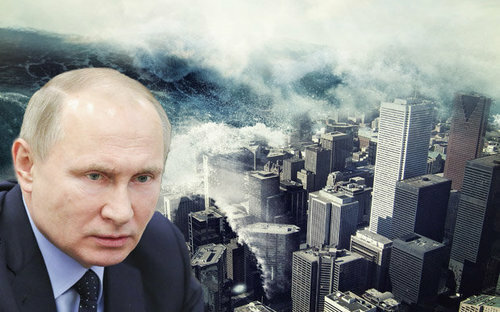 Now Russian dictator Vladimir Putin apparently has taken out of mothballs the design of Russia’s gigantic H-bomb to arm POSEIDON. Alas, POSEIDON is no joke, but a real nightmare. This story was originally published here. 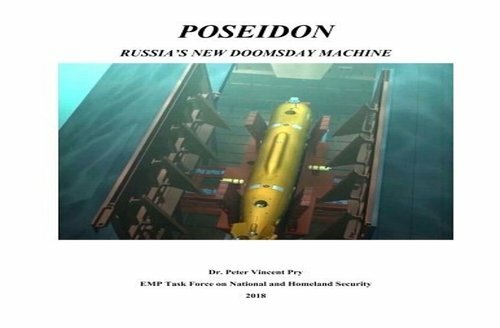 Read Dr. Pry's new report “POSEIDON: Russia’s New Doomsday Machine” available at Amazon.com. The views and opinions expressed in this article are those of the author and do not necessarily reflect those of ANP.